Dunk is a compact, waterproof speaker with surprisingly big sound. It streams music from any Bluetooth-enabled device from up to 30 feet away. Its rugged, rubberized design is IPX7 waterproof, so if you accidentally drop it in the stream when you’re hiking, it’s no problem. It has a built-in rechargeable battery for over 10 hours of uninterrupted fun and a built-in microphone so you can answer your calls without reaching for your phone. 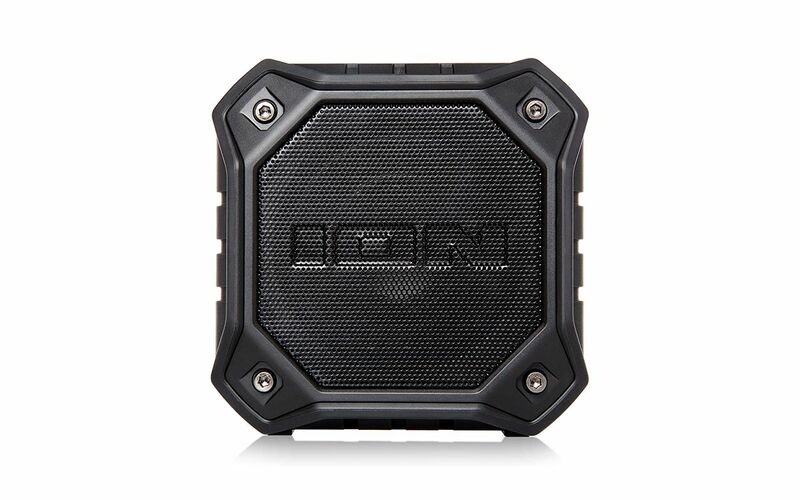 Small, rugged and waterproof, this is your ultimate outdoor entertainment partner.